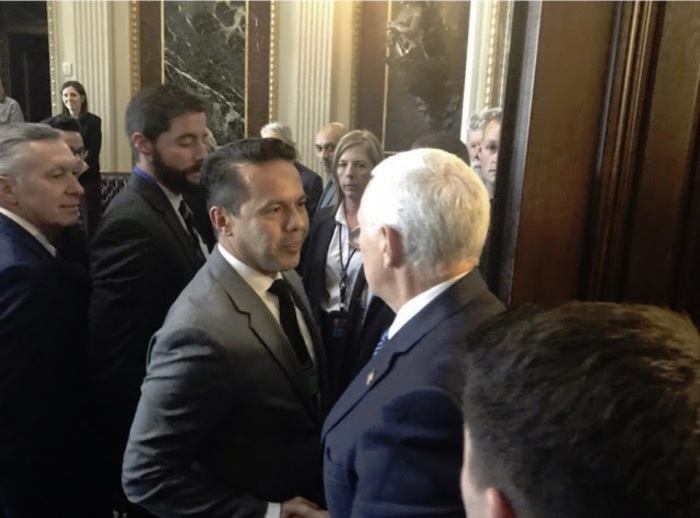 Vice President Mike Pence gave a closed-door address and received a standing ovation last Thursday before a gathering of the largest Hispanic evangelical coalition in the United States. Over 300 faith leaders gathered for the National Hispanic Christian Leadership Conference’s annual Justice Summit hosted at the Museum of the Bible in Washington, D.C. Capping off the event were remarks by the 59-year-old vice president. NHCLC has over 40,000 member congregations and is headed by California megachurch pastor Samuel Rodriguez, an evangelical born to Puerto Rican parents. Rodriguez was one of a few religious leaders who prayed at Trump’s inauguration in January 2017. He has also attended dinners hosted by the Trump White House, including last year’s state-like dinner for evangelical leaders and their wives. Rodriguez, however, has also voiced concern on different occasions with some of the administration's immigration policies, including the historically low limit placed on refugee resettlement into the United States. “We are very grateful to Vice President Pence for joining us and honoring all Hispanic Americans and Americans of faith by doing so,” Rodriguez said in a statement. Pence’s speech comes as the Trump administration has been called “the most anti-Latino administration in US history” by critics. However, others have argued that Hispanics in the United States have benefited from Trump’s policies. The document is essentially a declaration on how to apply “biblical justice” to issues of immigration reform, racial reconciliation, education equality and sanctity of life. 2. We believe in the sanctity and dignity of every human life from conception to natural death. 3. We commit to speaking up for those who can’t speak for themselves (Proverbs 31:8), including unborn children, their mothers, and all vulnerable people whose lives are at risk from violence, preventable disease and anti-life public policy such as abortion and euthanasia. 4. We stand in support of women facing unexpected pregnancies with word and deed at the local and national levels, through our churches and in our public policy. We affirm the bipartisan efforts to provide paid family leave so that pregnant mothers can choose life for their babies and so that parents and children will have the time necessary for family flourishing as family is the foundation of society. Other speakers at the summit included Steve Strang, the founder of Charisma Media; Rod Parsley, the senior pastor of World Harvest Church in Canal Winchester Ohio, Kelly Rosati, the CEO of KMR Consulting on Child Advocacy and Adoption; Maryland Bishop Harry Jackson, the Presiding Bishop of the International Communion of Evangelical Churches; and Alfonso Aguilar, who directs the Latino Partnership for Conservative Principles at the Alliance Defending Freedom. 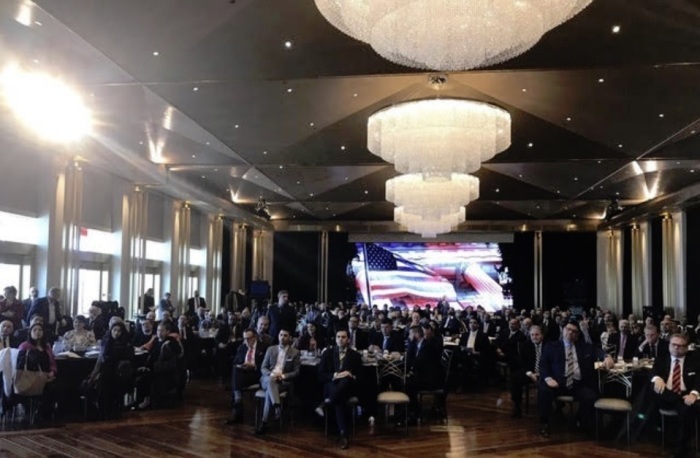 The event also included Daniel Garza, a former George W. Bush administration official who launched Libre Initiative, an organization that tries to convince the Hispanic community in the U.S. to support principles of limited government and rule of law. NHCLC Executive Vice President Rev. Tony Suarez, who emceed the event, said he believes the manifesto could be an inflection point for the church. “When leaders like Bishop Harry Jackson admonishes the church to lead the way in racial reconciliation, you can’t help but be galvanized and inspired by his unique authority on the topic,” Suarez said in a statement.